Echoing the chants of ‘Jai Mata di’ is Katra, a famous Hindu pilgrim destination in North India. Five of the many temples in the town are visited more than any other religious spots in the city. These include Vaishno Devi Temple, Ardh Kuwari Cave, Bhairavnath Temple, Shiv Khori, and Baba Dhansar. These temples have devotees flocking to them all year round and especially during the festival Navratri and in the months between March and October owing to the favorable weather conditions. The city is laden with hotels and restaurants to cater to the sea of devotees visiting this town. Let us help you with planning your next trip to Katra by telling you about how to get there, the best place to stay in Katra, and everything else you need to know to make your trip hassle free and fulfilling. How can you get to Katra? Katra falls within the small district of Reasi, which is located in the state of Jammu and Kashmir. Katra does have a railway station or airport in it but is well connected with the surrounding regions via road. 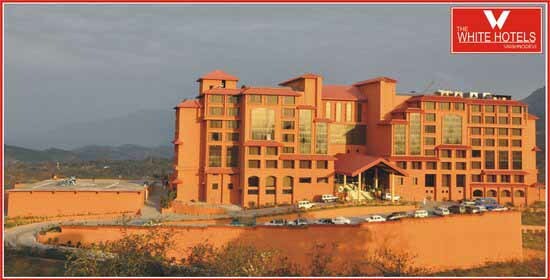 The closest airport to Katra is the Jammu Airport, which can be accessed via cabs or buses from Katra. Close to 40 kilometers from the Katra is Udhampur, which is also an important connecting hub to the pilgrim town as it has the closest railway station. The array of hotels in Katra may make it difficult for you to zero down on one, so let us solve your problem by suggesting some tips to help you find the right hotel for you. Look for a hotel that is located close to the temples in Katra. Hotels that are easily accessible via public transport would be ideal as this can solve any problem of moving to and from the hotel. When considering the cost of your accommodation, keep in mind the amenities it has to offer like a swimming pool, a gym, and spa services for unwinding after a long day of sightseeing and visiting the temples. A spa is an especially great amenity that can help you get rid of all the fatigue, especially after the trek to Vaishno Devi and back. The best place to stay in Katra would be the one that fits your budget and offers a comfortable stay with all the features mentioned above. While a quick internet search can help you find the finest and fanciest of restaurants in Katra, speak to your hotel desk staff or locals to find out where you can enjoy the local delicacies. The town has several street food spots that are worth exploring. Since Katra sees such a high footfall of devotees each year, it can be difficult to get travel and accommodation bookings. So make sure you book your tickets and rooms in the best place to stay in Katra well in advance to ensure that your trip to the pilgrim town of Katra is hassle-free, comfortable, and spiritually fulfilling.